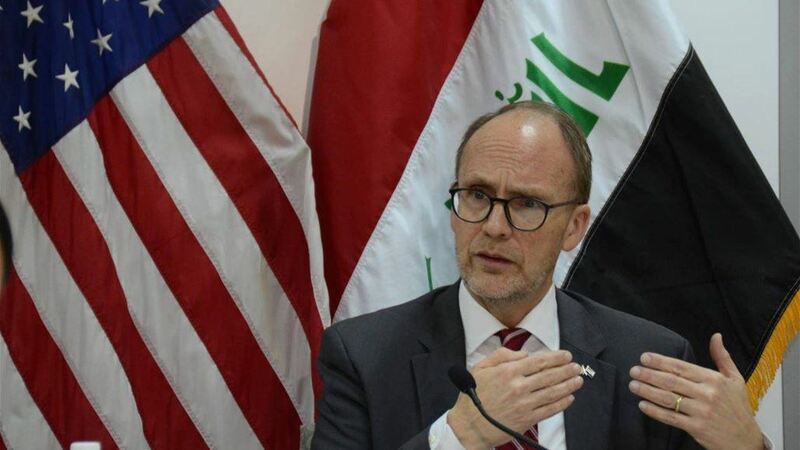 said the US ambassador to Iraq, on Friday, he saw great potential for a real democratic Iraq sovereign, independence and prosperity, while noting that the private sector the spring and open alone is able to provide jobs for a million young Iraqis entering the job market every year. "I had the privilege of being an American ambassador to Iraq for the past two and a half years, and with the end of my mission, I would like all Iraqis to know that I see," Sulliman said in a video clip of Sumerian News that sent a message to the Iraqis as he completed his term as US ambassador to Iraq. Great potential for a truly democratic, sovereign, independent and prosperous Iraq ". "Our unrivaled security cooperation with the Iraqi security forces has united Iraq and contributed to its stability. The United States will continue its partnership with Iraqi forces to provide advice and training to its forces and equip them to ensure a lasting defeat for the security and the rule of law for all Iraqis," he said. He explained that "our economic relationship is constantly evolving with the desire of US companies to invest in Iraq, and most importantly, the increasing opportunities for the Iraqi private sector." He stressed that "the private sector is open and open alone can provide a job opportunity for one million young Iraqis enter the labor market Every year, this sector must serve as the backbone of a stable and prosperous Iraq in the future. " "I have many beautiful memories. I have met with young people, artists, journalists, merchants, government officials and clerics. I will cherish the friendship and experience that I have gained when I know this nation with a great history. I will always hope to achieve peace and prosperity for all Iraqis," he said. "He said.